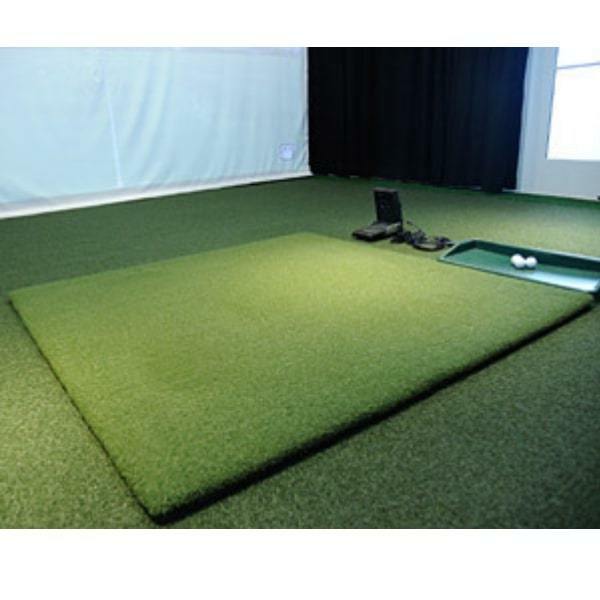 In a golf simulator for home, you cannot use grass as an option, for that you require having a hitting mat to hit the balls. The accuracy of shots being hit depends upon the quality of the hitting mat being used. 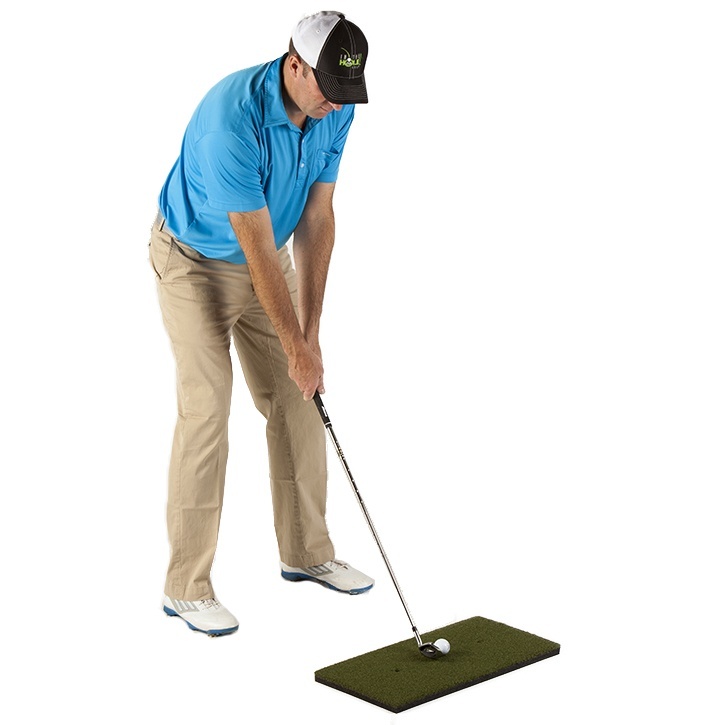 Golf mats can be a great help in swing training. You do not need to worry about weather or heat with the help of hitting mats. You can hit golf ball anytime and anywhere you want. 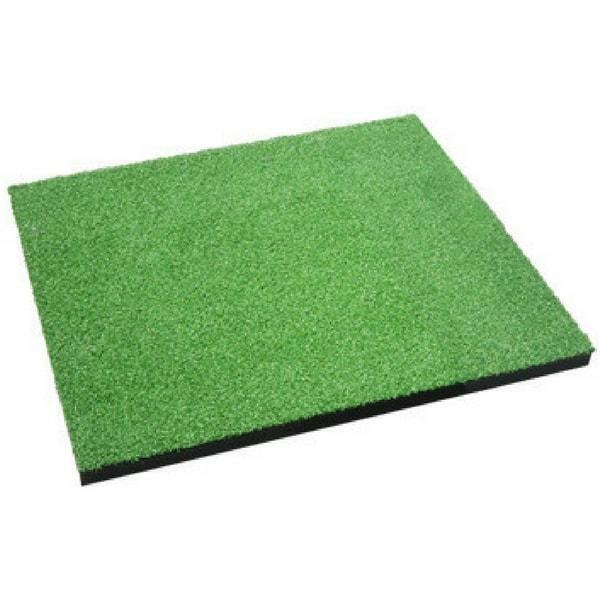 If you want to buy an affordable golf mat, you should always pay close attention to quality, because if it is built poorly, then it will perform poorly. Therefore if you are looking for improving your game, then it is necessary for you to have a good quality hitting the mat. Another benefit of the hitting mat is that you will be able to swing whenever you feel like without the use of a simulator. It is just like that you wanted to perform few swings or practice long shots in between your work without having to turn on the laptop and configure the simulator. 2. 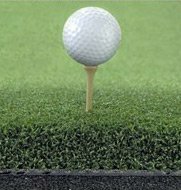 Country Club Elite Real Feel Golf Mat: – The Country Club Elite Real Feel Golf Mat is made up of the long fiber system, which soaks up the club head instead of resisting it. If you hit like fat on the course, then catch the ground behind the ball, and if you want to continue the clubhead into the fiber system which imparts accurate levels of spin and compression on the ball, then you will have to catch it flush. The Country Club Elite Real Feel Golf Mat is designed to eliminate club head “bounce” and react as though you were taking a divot. 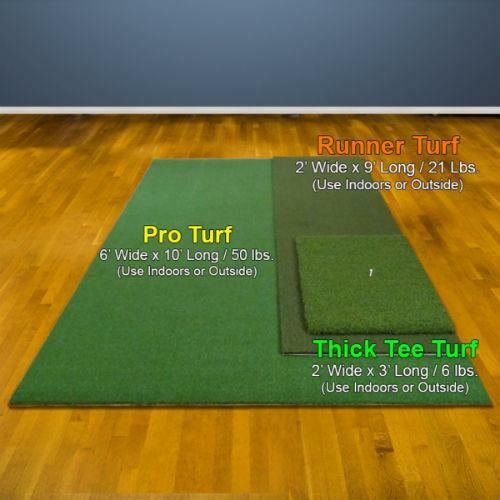 Indoor and backyard golf range of 3’ * 4’ or 4’ * 4’ is sufficient. One of the best features of the Real Feel is its toughness. This heavy duty product is made up of fiber and is very durable even after sustained and prolonged use. The other best feature of the Real Feel is that it can accept a real golf tee. You can actually fix tee on an area in Real Feel Golf Mat at a specified height. 3. 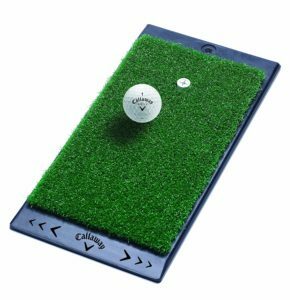 Fairway Pro Golf Mat: – Fairway Pro Golf Mat is one of the first mats that utilize sliding technology to provide a more realistic ball striking experience. 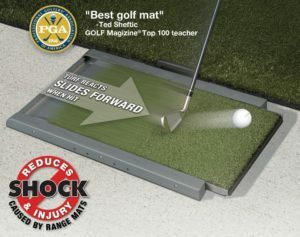 Fairway Pro Golf Mat slides forward on impact, before snapping back into place ready for or next shot. It is also known as a divot simulator because it allows you to hit down and through the ball which creates compression and gains realistic analysis on the quality of your shot. 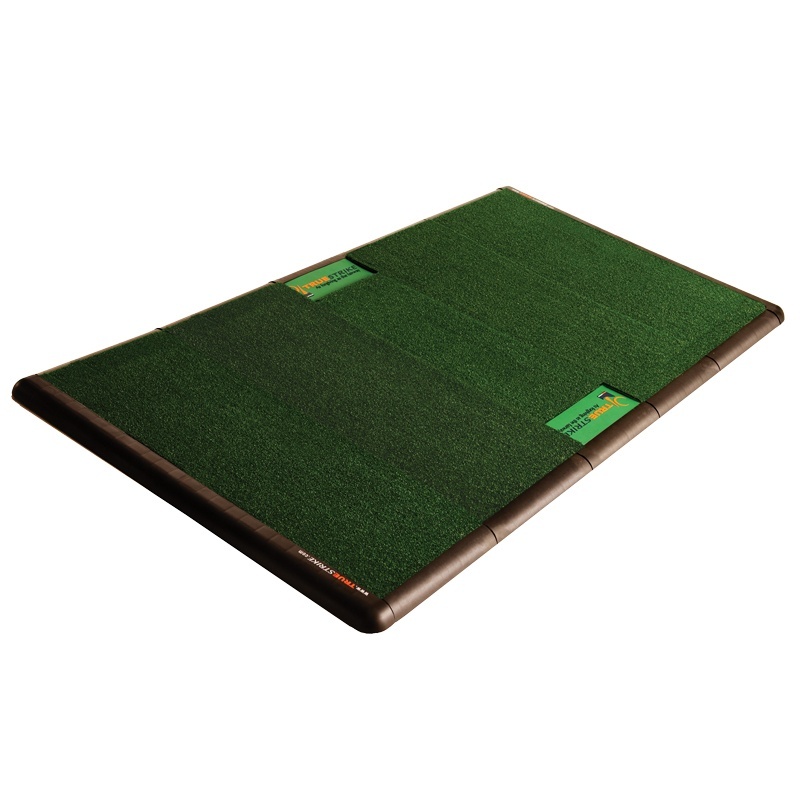 Fairway Pro Golf Mat not only enhance your practice time with added realism, but it also imparts less stress to your body, and hence greatly reduces the chances of injury. 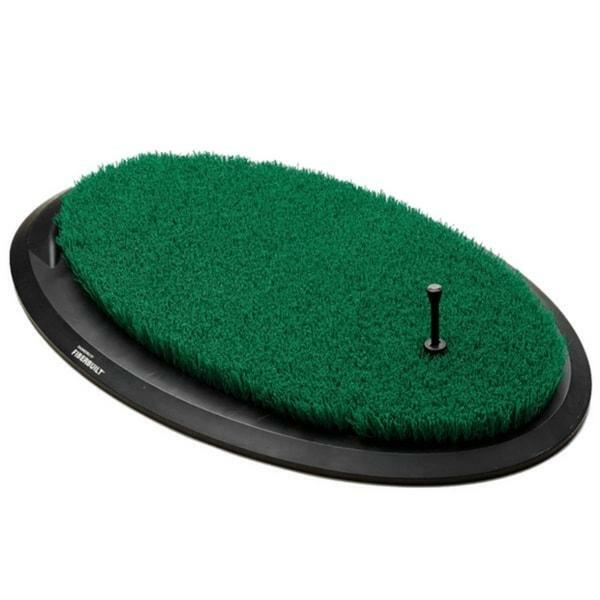 Fairway Pro Golf Mat is made up of German manufactured stainless steel springs and premium which makes it long lasting. 4. TT3660 Monster Tee Golf Turf: – The Monster Tee Golf Turf is made up of dense fibers, known as “Spring Crimped Nylon” which creates a cushion and reduces clubhead bounce which ultimately reduces the impact stress of the body. Moreover, this mat has urethane underside which reduces its weight. 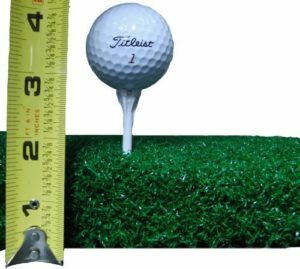 This mat is dense enough and can also accept a real golf tee without affecting the construction. 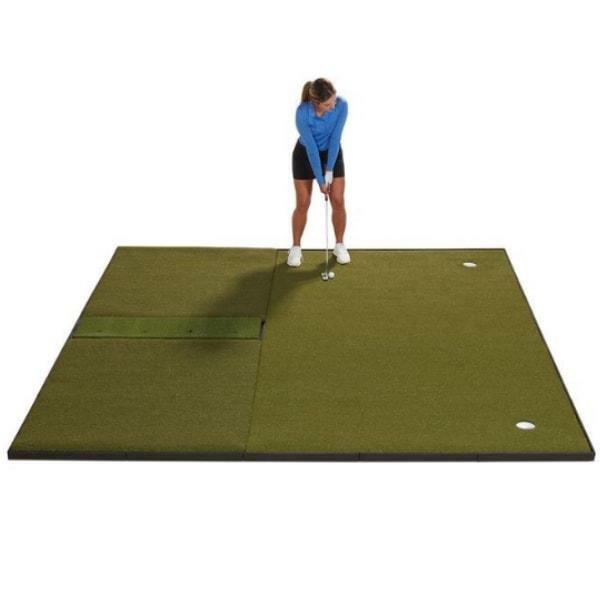 This is a full sized golf hitting mat which measures exactly and provides both a standing platform and a lush hitting area. The surface of this mat is very thick and made up of 100% spring crimped nylon, which gives it a real hitting sensation. This is one of the durable mats available in the market. 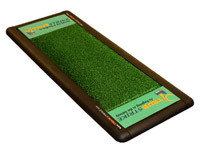 This mat measures 1.5 inches exactly which perfectly go with the surface of OptiShot simulator. 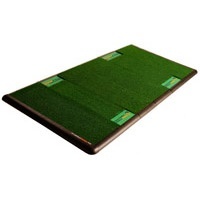 This is a thick, quality mat which simulates realistic fairway conditions and reduces the chances of injuries with a flexible surface as it places less strain on your body than a hard surface. 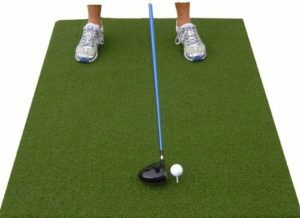 It provides you the feedback on the quality of your swing by adapting to your clubs head, just like a real turf can do. 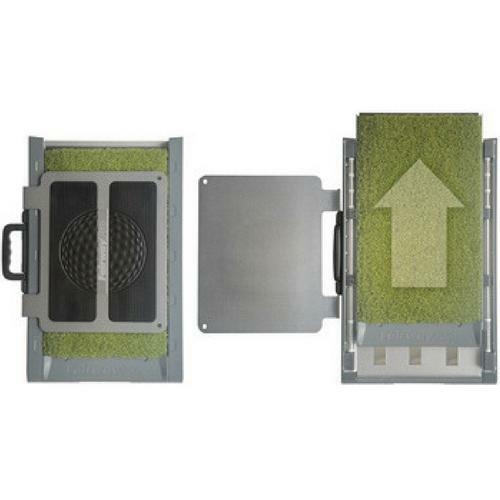 Monster Tee Golf Turf mat is portable and easy to pack and store, you just roll it up and store it. This mat is made up of dense fibers; therefore, it is one of the most durable mats available on the market that would not wear out quickly. 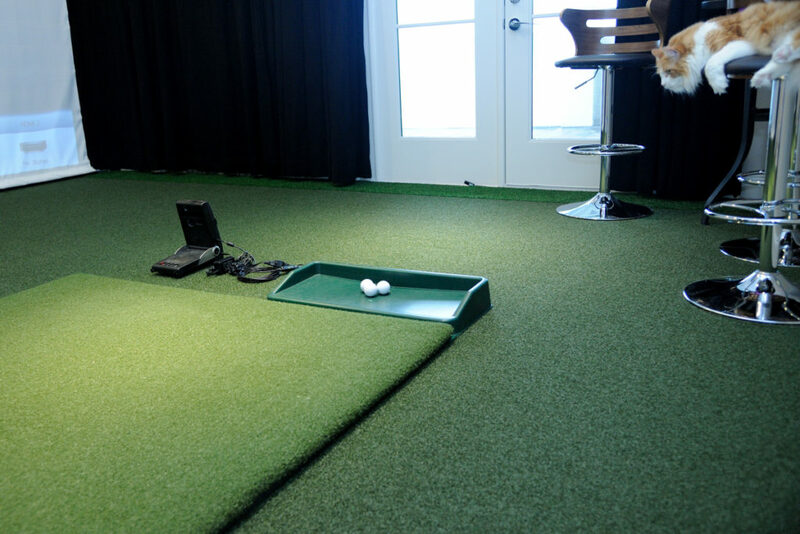 Previous: How to build indoor golf simulator? Next: What is the best golf launch monitor for money?